Let's be honest if you know me at all you know I love all things shiny and glittery. So it was no surprise that once I learned I could foil at home I was "like a little kid in a candy store" (direct quote from by good friend Connie who saw me light up at CHA 2015). So FINALLY here I am to show you how to do this and share what I learned to make you a pro in a flash! 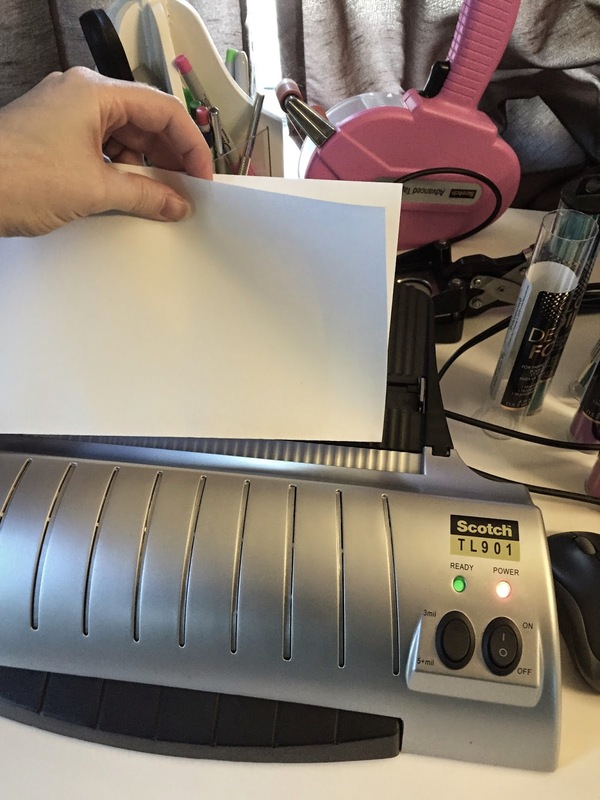 -Heat Laminator: After research and seeing it in the booth here is what they used Royal Sovereign 9" or here is the 12" version one if you have a wide format laser printer. but I found this one with the same qualities and the ability to take thicker material Scotch 9"
-I used Photoshop to design my images, but any program to use fonts and shapes will work. 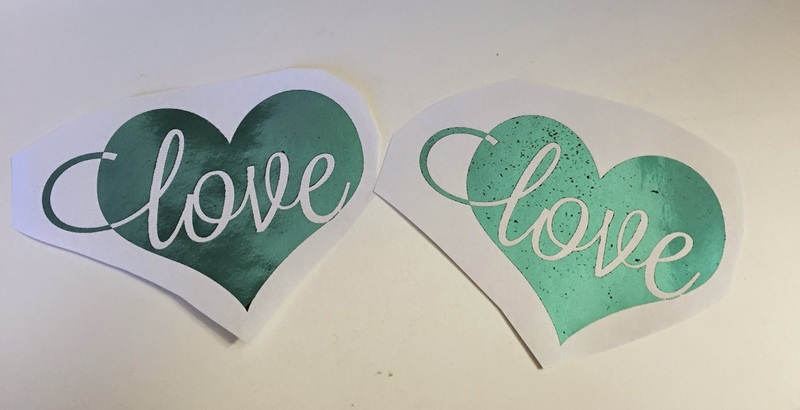 -Deco Foil. 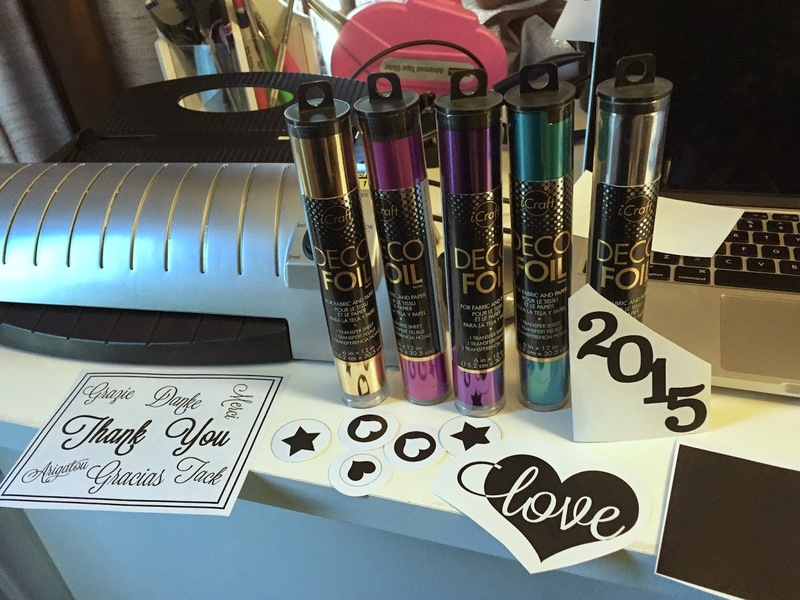 You can order the larger sheets of Heidi Swapp foils as well, but they won't be in until late March. So run, no seriously don't walk, to your local Michael's or box box store and look near the punches and embossing powders for the tubes of foils. They retail at $4.99 each but you can use a coupon and often they are near the card area with a 40% off sale sign. -Legal photocopy paper, to fold in half as your pocket. 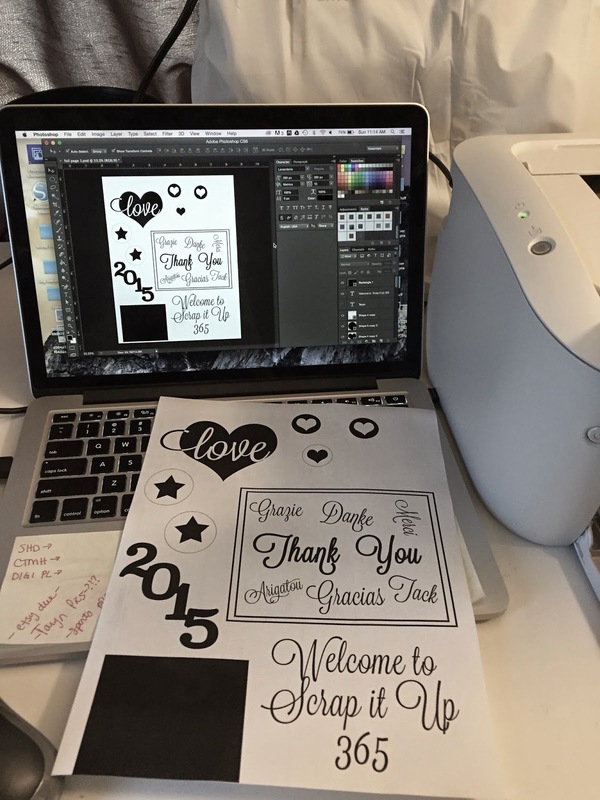 1) Design your images and print with laser printer. Some notes: Post foiling I had to adjust the toner to "darker" and change the monochromatic (under print settings) to SOLID not pattern, so that everything would print and be dark black. 3) Use a piece of your legal copy paper and fold in half to create a "folder." 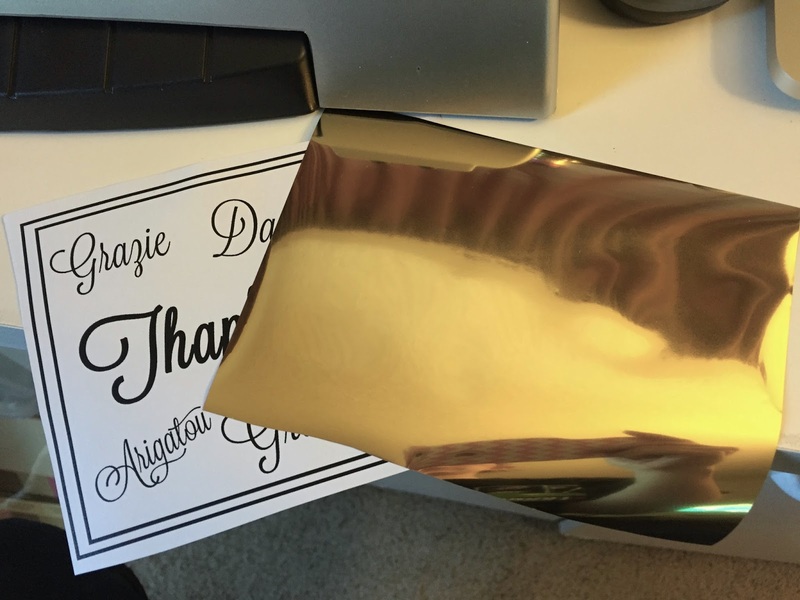 Place the foil over the image SHINY side up and in the of the folder. 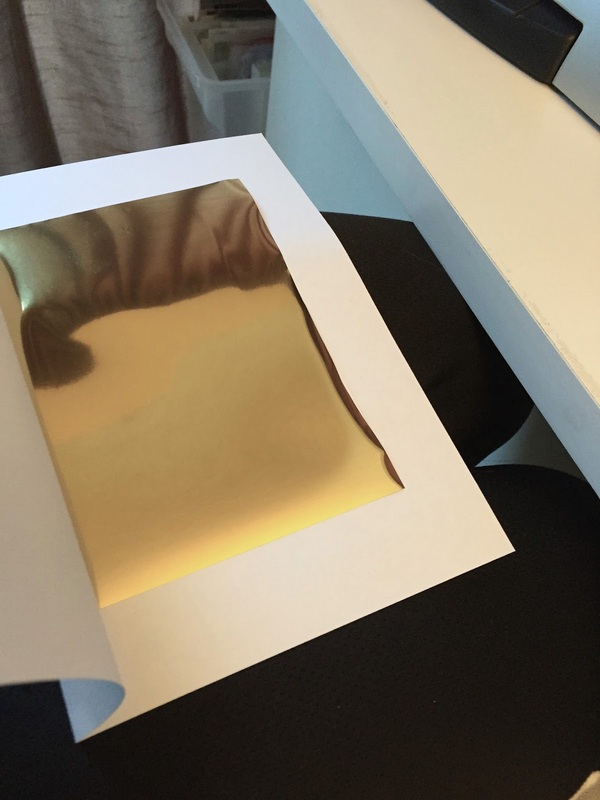 Be sure to check out this video for the very first at home gold foil reveal! The left is the twice run and the right is the single run. You can see some foil didn't adhere in the reflection. Flair, Thank you cards, a sheet I can use punches on. 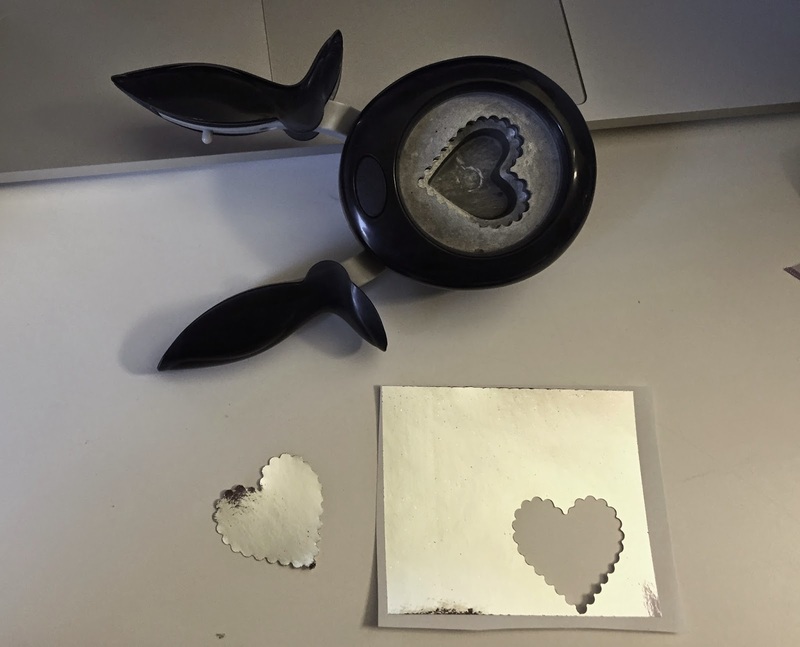 Here I just printed a toner square and punched out a scallop heart now I have the negative and punch for a project! 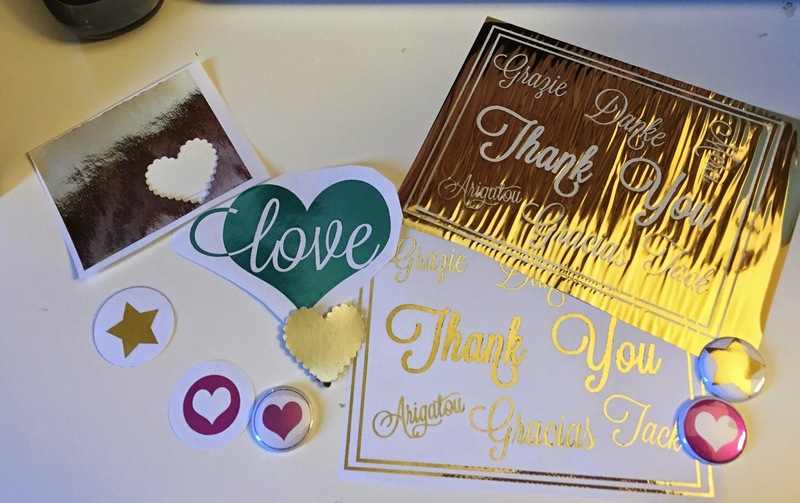 Please share your projects and thoughts on at home foiling! ENJOY! If you want more tips and tricks, be sure to come join the all new "Scrap it Up 365" community! We all know how hard it is to pack a bag and head to the local scrapbook store to scrap with friends. So we have created a private community where you and your friends can come hang out 24 / 7 / 365 to be inspired, create, and share. Come check out our full event calendar for February 2015! See you there! Your scrapbook home away from home!